Abrams Focus 2X High Intensity 12 LED Dash Light is the most versatile emergency vehicle strobe warning light offered in the market. The Abrams Focus 2X unit is compactly sized and offers a super bright light output. This Focus Dash Light is perfect to be used as windshield, visor, deck lights, on side window of vehicle, and various other applications. In addition to being composed of 5th Generation LED’s with Linear spreader optics lenses, having 52+ selectable flash patterns, synchronization function between multiple units, TBT (Turn/Brake/Tail) Light Function, this LED light head is guaranteed to increase the visibility of all emergency response vehicles. 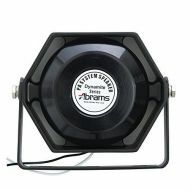 The sleek design of the Abrams speaker features industry leading Neo-driver, which is known to deliver a robust low-frequency sound. Made of corrosion resistant aluminum, this high-performing true 100-watt speaker is designed to withstand the toughest conditions. 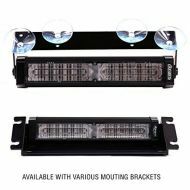 The Ultra’s slim and lightweight housing mounts easily into the grille, flush between the bumper and hose tray of large apparatus and to most vehicle’s bumpers. The Abrams Focus 1X High Intensity 6 LED Dash Light is the most versatile emergency vehicle strobe warning light offered in the market. 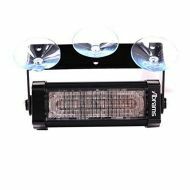 The unit is compactly sized and offers a super bright light output. This Focus Dash Light is perfect to be used as windshield, visor, deck lights, on side window of vehicle, and various other applications. In addition to being composed of 5th Generation LED’s with Linear spreader optics lenses, having 52+ selectable flash patterns, synchronization function between multiple units, TBT (Turn/Brake/Tail) Light Function, this LED light head is guaranteed to increase the visibility of all emergency response vehicles. 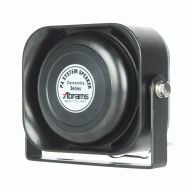 With its signature look and reliable design, the Triton stands out as the best all-around emergency speaker in the emergency warning industry.